Brock Ripley has always considered himself gutless because he tends to shy away from aggressive plays in all sports. He’s even considering quitting soccer for next season because he feels responsible for losing the championship game for his team. Then, he’s asked to play with Hunter Gates in the local park because he needs to practice throwing the football to someone. He’s nervous, but Hunter is the kind of guy you do not say no to and you desperately try not to get on his bad side. Brock is fast and has an eye for the ball, but is terrified of getting tackles in a real football setting. Hunter’s dad tries to convince Brock to try out for football because they think the two of them could be a good pair. Brock’s parents need some serious convincing to let him even try out, but as a freshmen who has never played before he ends up on the freshmen team and even on that he is not a superstar. Meanwhile, he befriends an outgoing, silly, nerdy, Asian kid named Richie who immediately becomes a target for bullying from Hunter and his friends. As Brock tries to be friends with Richie and play on the football team he finds himself ignoring the harsh treatment that Richie keeps getting from the older, bigger players. Eventually things escalate and Brock must decide whose side he’s going to be on. Fans of sports fiction will once again enjoy this new addition by Carl Deuker. He includes both football and soccer action that sports fans will love, but also includes a lot on the topic of bullying that is so timely today. The foreshadowing will instantly put the reader on alert with a sense of foreboding, but the characters are engaging enough that you have to keep reading to find out what happens. Mercer is a high school senior in 2003 struggling with his father’s deployment in Iraq. The entire book is written in journal entries for his English teacher as well as emails to his dad in Iraq. Mercer is focused on football and the dream of getting a full ride scholarship to the University of Iowa. He begins writing emails to a teenager in Iraq that his dad works with occasionally. Through these emails, Mercer begins to see that his life is very different from that of a teenager in Iraq and he should be grateful for the life he has. At the same time, it is very difficult for Mercer to not have his dad with him for his senior year and he believes his family is starting to drift apart with his dad’s absence. As time passes, Mercer begins to question his loyalty to this war. Can he be the man his father wants him to be while he’s away? Can he take care of his family the way he thinks he should? When will his dad return to him? This new title is written by a former teacher of Dowling Catholic High School and we are pleased to have received some copies early after it’s release. The story captures the many worries and thoughts that go through a typical teenager’s head during his or her senior year but adds in the extra burden of having a father deployed. The book provides a lot of detailed information concerning the war. Students who enjoy reading about soldiers will enjoy the book as it is easy to identify with Mercer. Recommended for those teenage boys who often have trouble finding titles that appeal to them. While taking the physical fitness test in his P.E. class, Felton discovers that in less than a year he has grown several inches, gained muscle, and become what he describes as stupid fast. His classmates immediately notice and he is recruited to the track and football teams. Felton is a bit worried about becoming a jock since these were the same people who used to pick on him, but he does like the idea of having an activity to keep him busy. His mother has started to detach from Felton and his younger brother and as time goes on the worse the situation becomes. She stops buying food or taking care of them in any way. Felton distracts himself from the fighting and neglect of his home life by throwing himself into his training, but there is a bully there he must deal with as well. Can he face the difficult home life for the sake of his little brother? Can he overcome everyone’s doubt that he can truly become a great athlete? Felton’s story is a good sports story for those who like to read about sports. However, there is a lot of focus on his home life and the developing relationship between Felton and a neighborhood girl. The fights between Felton and his mother can get a bit heated at times and some tough language is used, which might turn off some younger readers. The eventual explanation of his mother’s abandonment is unique and satisfying. Recommended for sports and/or reluctant readers. Marcus is new in town and cannot wait for football tryouts in the fall. Over the summer he conditions himself in the park everyday. One day a middle aged man comes and tackles him. It is the strongest tackle he has ever had, but he finds himself looking forward to these workout sessions. His new friend, Charlie, tends to behave erratically at times, however, and Marcus cannot figure him out. For example, one day he throws a football into a car window and then runs away leaving Marcus to deal with the damage. Meanwhile, Marcus is not welcomed onto the high school football team that has an undefeated record and does not have an interest in even holding tryouts. Will his new ability to take and give tackles give him an edge? Will he ever learn why Charlie acts so peculiar? Teenage boys will enjoy this book because it is current and timely, but still incorporates nostalgic football memories that they will be able to relate to. Charlie’s situation is handled well and will help students understand more about the condition. 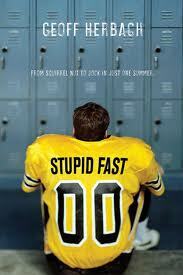 It’s a very relatable story about a high school football player that I predict will fly off the shelves. 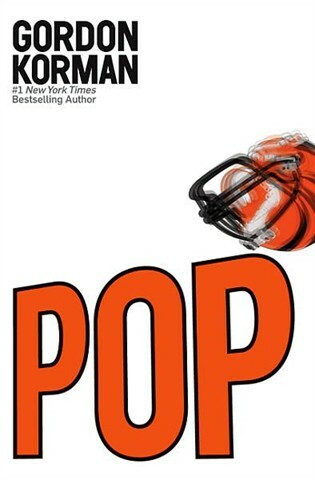 Highly recommended for fans of sports fiction. Troy believes he can predict football plays if he watches games closely and understands the pattern of the plays. When his mom gets a job with the Atlanta Falcons he tries to tell the defensive coach his gift so that his favorite team can win a game, but instead he is escorted off the field by security. In the process of trying to help his team, he gets himself and his mother into a lot of trouble. His only hope is to somehow contact the linebacker, Seth Halloway, and get him to believe in his unusual skill so that he can help the Falcons win. 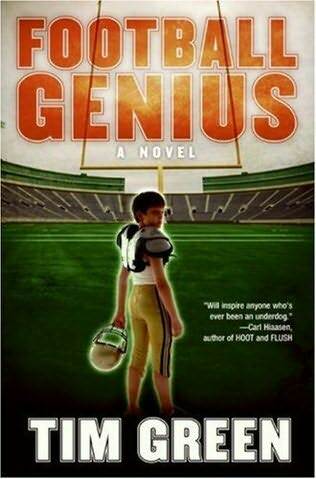 Meanwhile, Troy is having trouble with his own football team because the class bully’s dad is the coach and refuses to let Troy play, despite the fact he is the best quarterback they have. Can Troy ever get anyone to recognize his talent and passion for football? 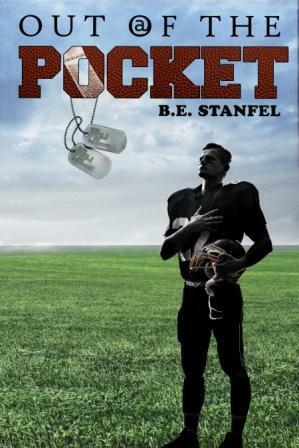 This fun football story will engage even the most reluctant male readers. 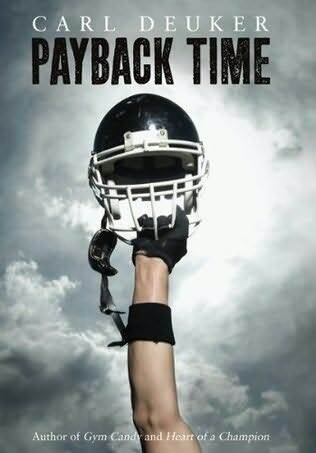 There is excitement, drama, family turmoil, strong friendsip, and of course a lot of football action. The age level is a big too low for my school, but the story is fun and the characters are engaging. Sports fans will enjoy this quick read.